Haven’t posted recently, as I have been busy trying to sew, knit, and craft some WIPs and new projects, as well. Here are two of my most recent completions. I hope to make a few of these to put on my Etsy store. It has been a while since I have listed anything new on there and I think it is about time to rejuvenate the listings. This button-up onesie has been on my list for some time. Since I have so many of Scott’s dress shirts to reuse, I guess this qualifies as a WIP and a new project, both. 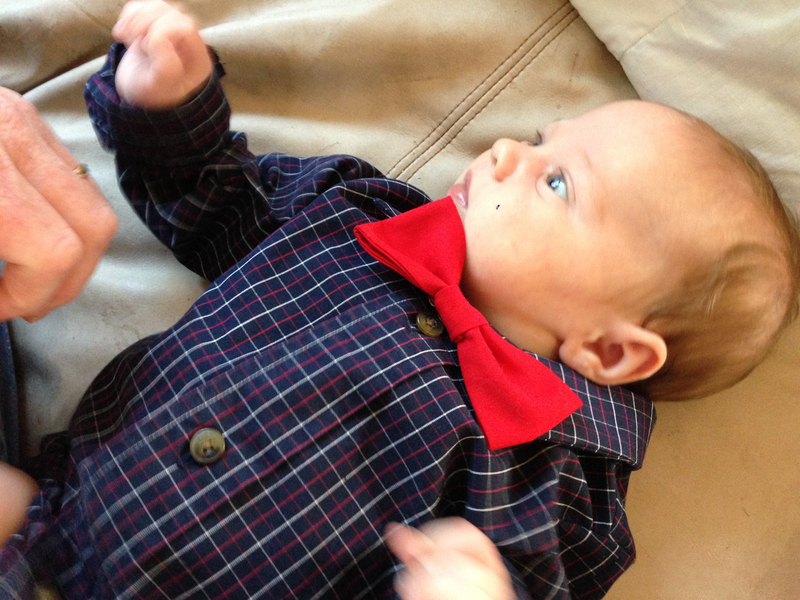 One shirt will make a onesie and the bow-tie can be made from coordinating scraps. 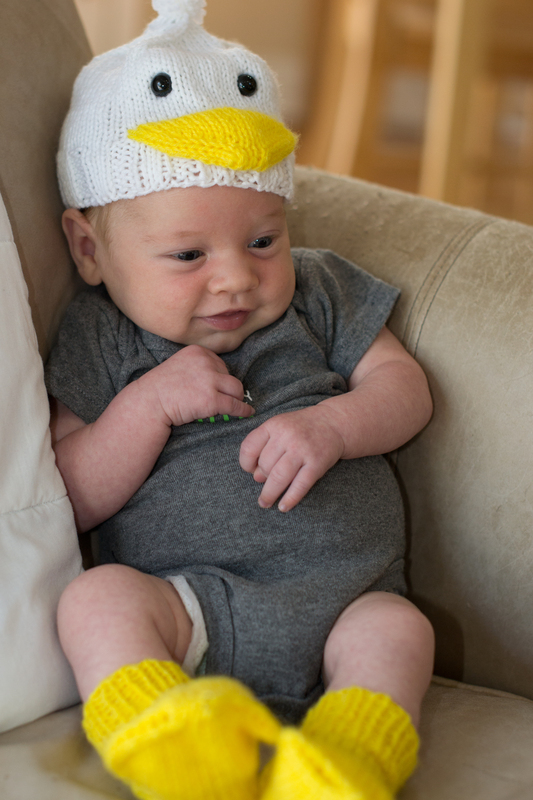 The onesie is size 3-6 months, so it is a little bit big on my 4 week old nephew. 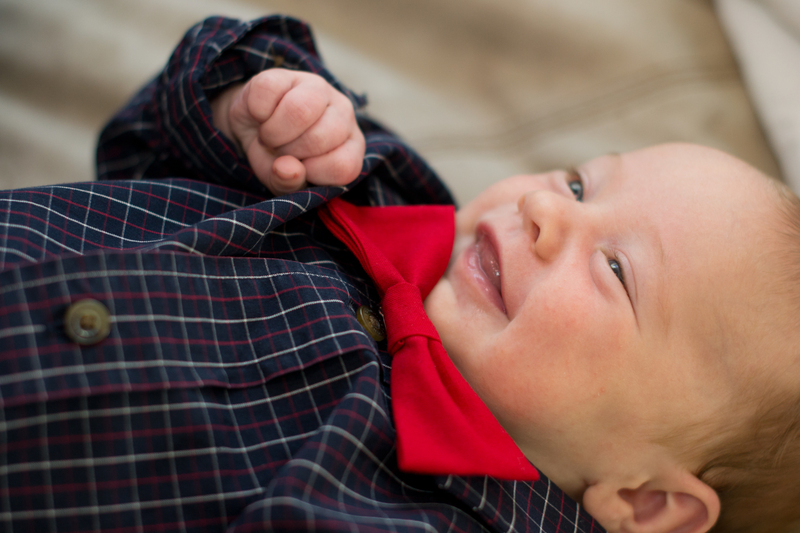 Regardless, isn’t he adorable in this outfit? 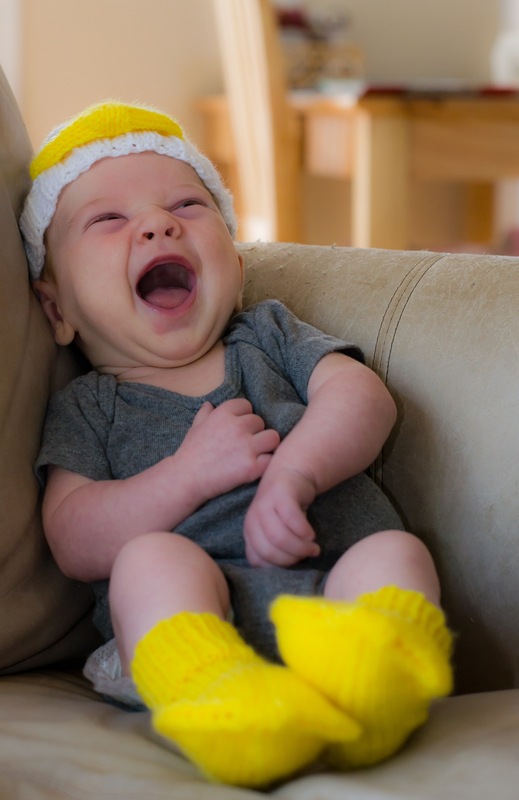 The pattern for the button up onesie is from Sew Mama Sew. Some of the pieces did not go together as well as I would have liked. The collar did not quite fit, but for free, it was not hard to adjust and improvise. There is also no seam allowance given. I used 1/4″ and did french seams throughout. The bowtie is also a free pattern. There are loads of them on Google. Here is the one I used. Could you take them off of him? I just couldn’t. 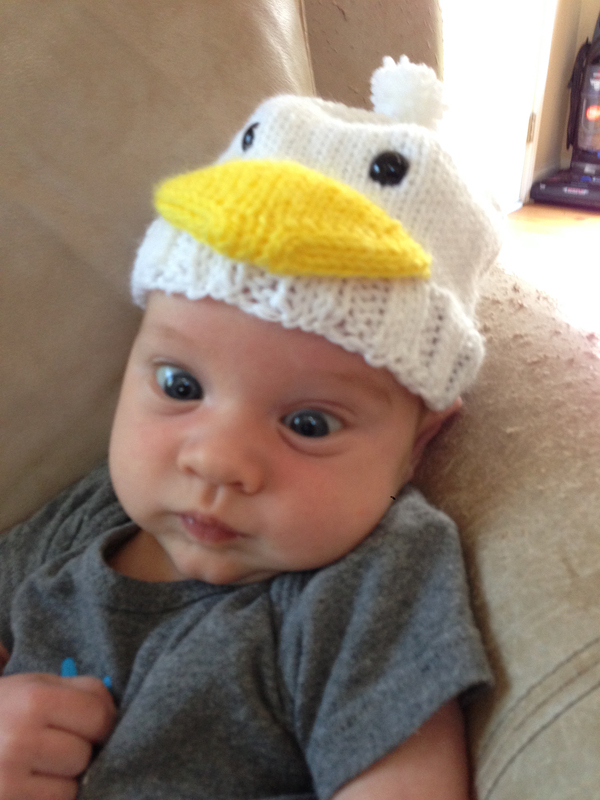 The duck hat and socks ( I refuse to make “booties”) can be found on Ravelry. Both are free patterns. Anyway, I have loads more projects to show, but will save them for the next few posts. What have you been working on lately? 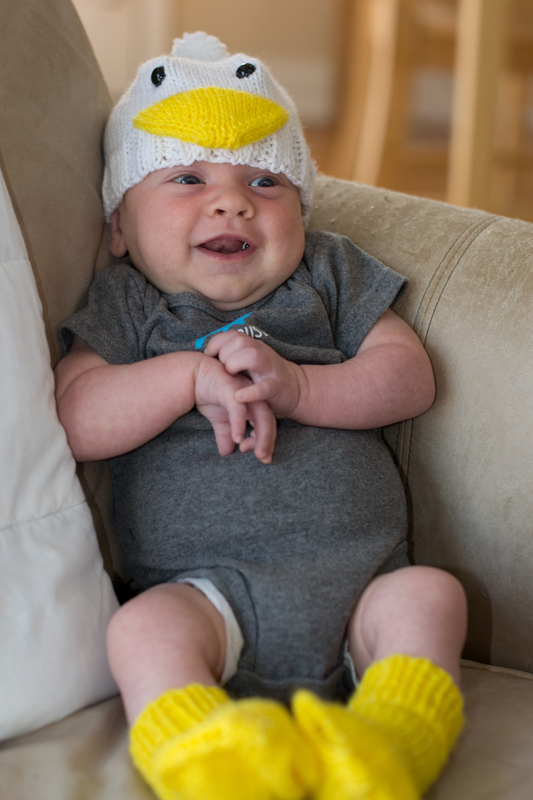 The onsie is even cuter on your nephew! Love the duck outfit!